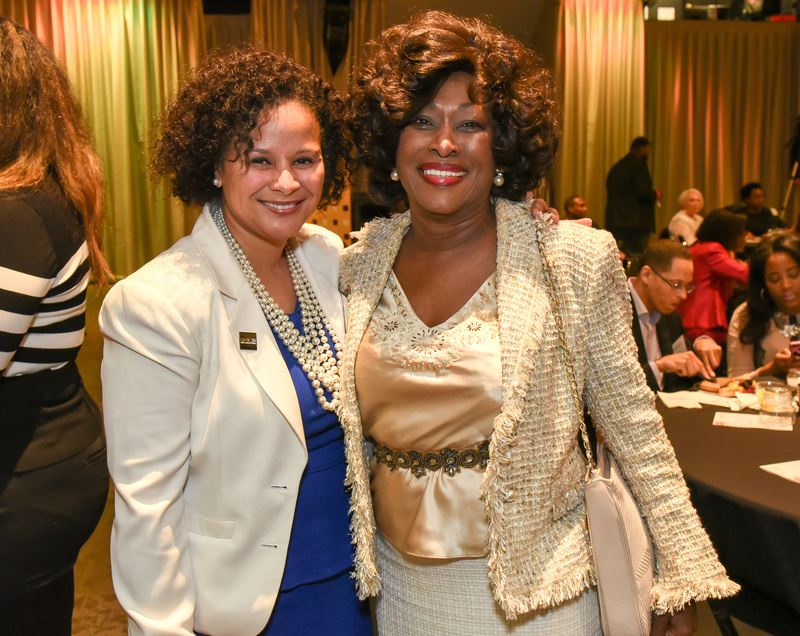 UMBC’s Legends of Excellence Awards Brunch, sponsored by the Chapter of Black and Latino Alumni every five years, recently honored four awardees who have played instrumental roles in the success of UMBC’s African American and Latino students. Recipients and nominators alike spoke about the supportive community that is UMBC, and how their time on campus transformed their lives. 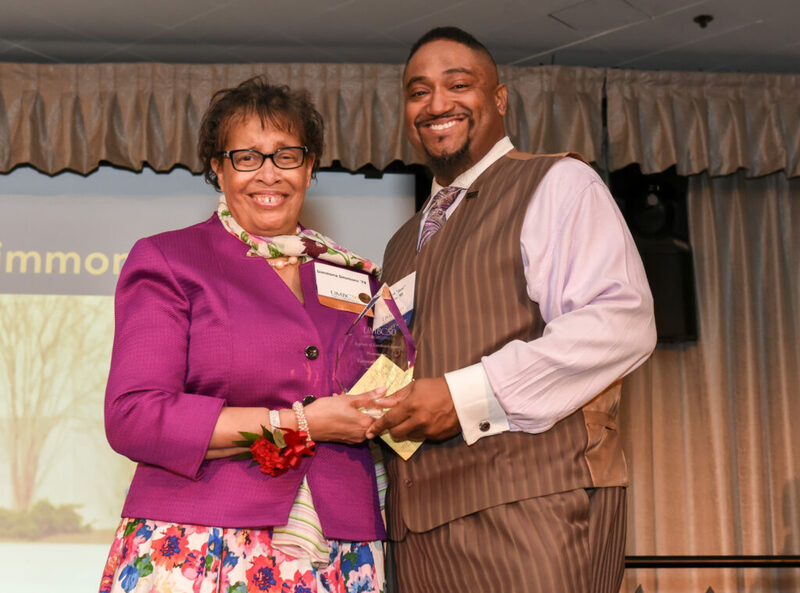 “We consider the award winners legends because of the indelible marks they have made on UMBC’s African American and Latino students over the past 50 years,” shared Tamara Lewis ’92, psychology, and event co-chair. 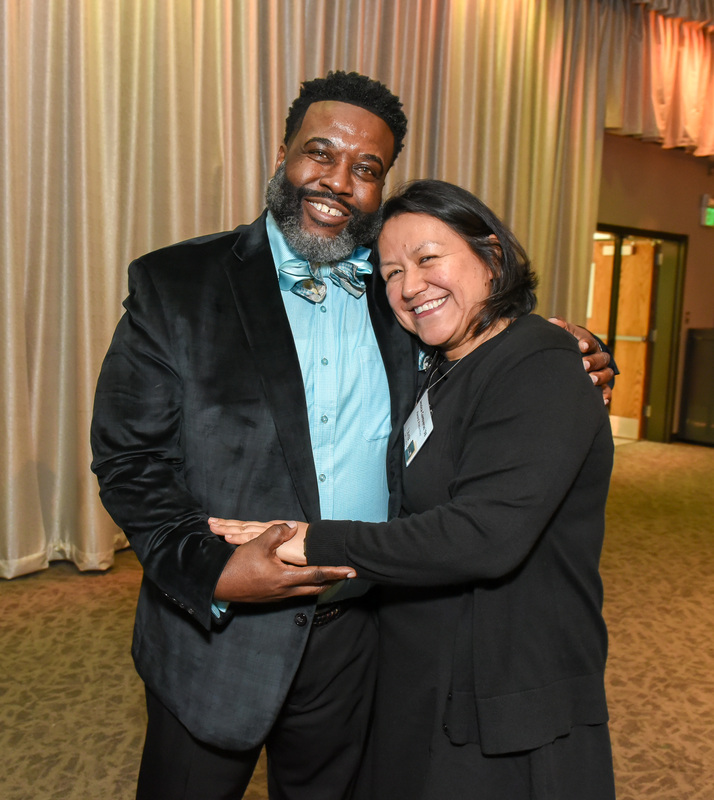 The work these legends did to support minority students “made a positive difference, and our students not only survived, but thrived,” added Cynthia Hill, former associate provost for student support services. Honoree Simmona Simmons ’74 with event emcee Darren Stevens ’95. The first legend honored this year, Simmona Simmons ’74, American studies, started work at the Albin O. Kuhn Library as UMBC opened its doors in 1966 and has served in many roles within the library since then. She is currently the service and special projects librarian and the library liaison to the Africana studies department. “I always loved working with students,” Simmons shared, “as they discover new information and mature, it is exciting to contribute a small part to their success.” As the only library staff member of color in UMBC’s early days, she made a lasting impact on the first generation of diverse UMBC students. Nominator Jessica Contreras ’98 with honoree Jamie Washington. Washington served in a variety of roles in Residential Life and Student Affairs at UMBC between 1986 and 2002, before shifting his focus to the ministry. He is currently CEO of Washington Consulting Group, named one of the top 10 global diversity consulting groups in the world in 2015; co-pastor of Unity Fellowship Church of Baltimore; and president and co-founder of the Social Justice Training institute. Stanyell Odom, director of alumni relations, with Betty Glascoe, who was honored at the 2007 Legends of Excellence Awards for her work in career services. Baker served as the first director of the Meyerhoff Scholars Program, and was promoted to executive director in 2002, a position she held until her retirement in 2013. Along the way, she had a major impact on hundreds of students. And yet, Baker remains unfailingly humble. Willie Lamousé-Smith, professor emeritus and former chair of Africana studies, arrived at UMBC in 1975. Some of his fondest memories involve standing with students as they demonstrated for racial equality. “UMBC would not be what it is today but for them,” he says. Since his arrival on campus, Lamousé-Smith’s devotion to students in all areas of life, from academics, to finances, to health, has made a positive difference for hundreds of Retrievers. “The premier duty of educators—and parents, too—is to draw out and cultivate the talents encased in each student, within a nurturing and empathic environment,” he shares. 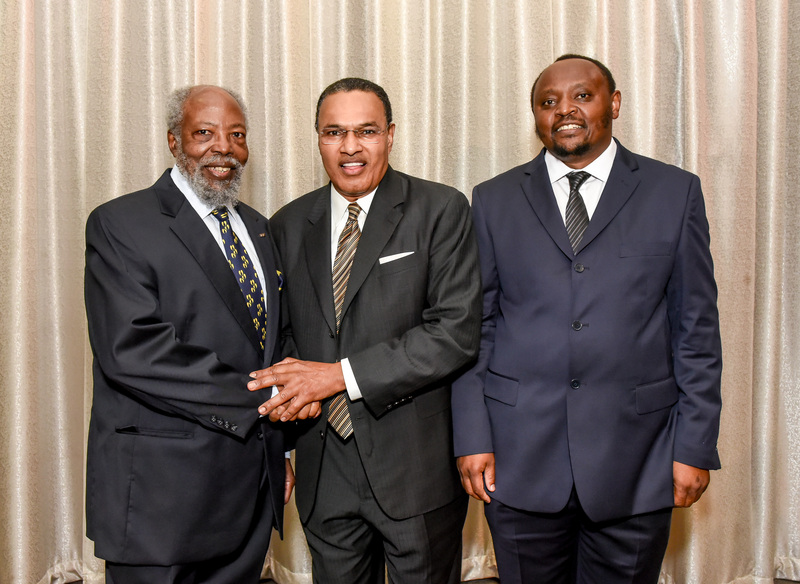 Honoree Willie Lamousé-Smith (left) with President Hrabowski (center) and nominator Charles Njau ’05. Banner image: Earnestine Baker (center, in gold) with nominator Maceo Thomas ’93 (left), Pres. Hrabowski (right), and Meyerhoff Scholars Program alumni. All photos by Jay Baker for UMBC.